The San Pedro Sun has confirmed tonight (Wed. Dec. 5th) that John McAfee, anti-virus pioneer, has been detained in Guatemala City by Interpol and Immigration Officials of Guatemala. McAfee was arrested on suspicion of illegal entry into that country. 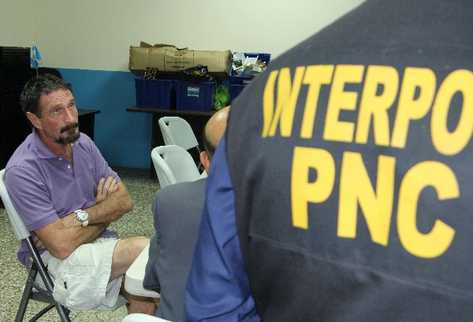 The San Pedro Sun has also received reports from the Foreign Affairs Office of Guatemala that McAfee is in the process of being returned to Belize tomorrow morning and it is believed that he will then be flown to San Pedro Town for police questioning in regards to the murder investigation of US National, Gregory Faull. Editorial: Police have the “smoking gun” on McAfee; so why no charges?